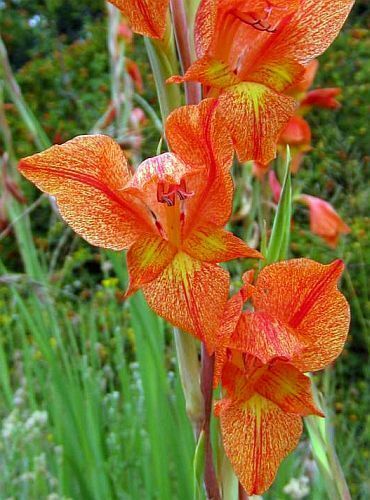 ﻿Gladiolus saundersii, also called Lesotho Lily has 50 - 90 cm tall stems with large flowers of salmon to scarlet. The lower petals are white in the centre with the same scarlet-orange shades. Cold hardy.